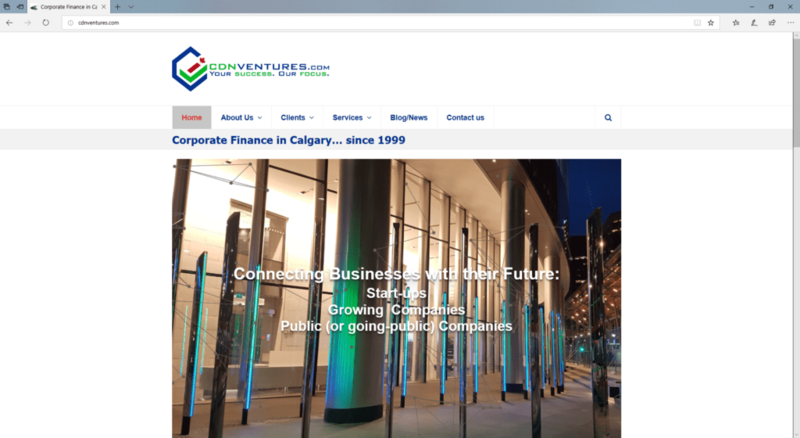 Canadian Ventures Inc. is privately-owned, professional corporate finance practice dedicated to helping Canadian businesses grow. They’ve delivered advice, finance and transaction services to private enterprises, public companies and government agencies. A team approach to client services with experienced professionals, enable their clients to take advantage of exciting opportunities. They provide advisory services for the vital research, analysis and planning for attaining business success. Their finance services focus on strategies to structure and secure capital from a network of private equity, debt financing and other funding sources.